Volar plate: often rupture from its proximal origin during dorsal dislocations, may prevent reduction. 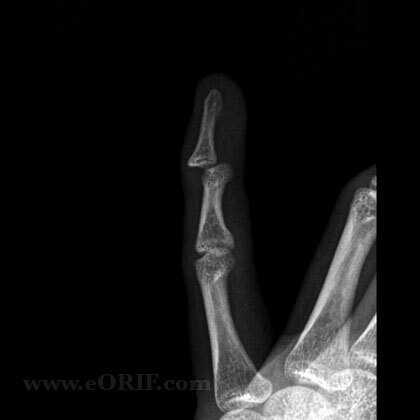 Dorsal dislocation is most common. 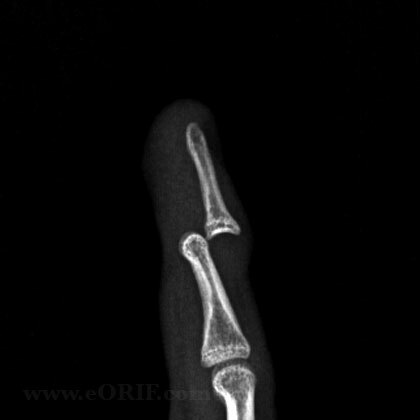 Volar dislocation extremely rare. 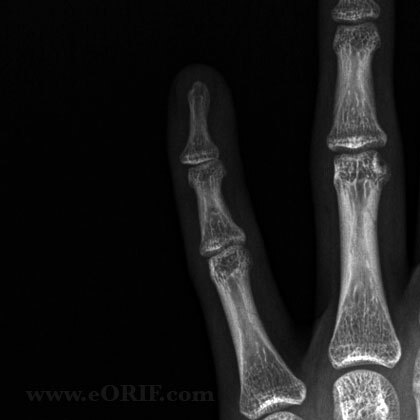 Impediments to reduction = volar plate, collateral ligaments, FDP tendon, thumb sesamoinds. Often occurs during ball catching sports. Evaluate for any open injury. DIP dilocations commonly have a transverse laceration in the flexion crease. All closed DIP joint dislocations should be reduced as soon as possible. Simple longitudinal traction is attempted first for reduction. If unsuccessful attempt various PIP and DIP joint positions and rotations to allow any impediments to reduction to slide out of the joint. Closed Unstableafter reduction: immobilize in 20 degrees of flexion for 3-4 weeks followed to AROMChronic (>3 weeks old). Consider longitudinal 0.045 K-wire fixation for severe injuries or when aggressive rehab is required for adjacent injuries. 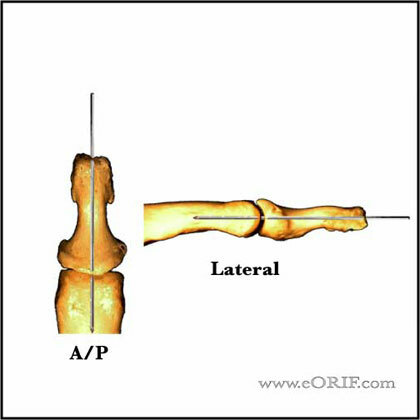 Joint is fixed in neutral in both the A/P and lateral planes. Open: irrigation and debridement before and after reduction. Chronic (>3 weeks old): often requires open reduction via a dorsal transvers incision in the distal flexion crease with excision of interveaning scar tissue. 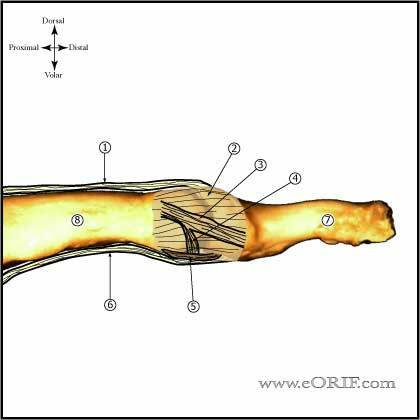 Longitudinal extension of the incision proximally along the mid-axial line may be needed. Repeat xrays at one week for confirm reduction is maintained. Remove K-wire at 3-4 weeks and begin AROM exercises.